A sensational Hazard fired the Blues into the top four with a strong display against the Hammers. Eden Hazard’s wonder-goal in the 24th minute and finishing strike in the final minute was all it took for Chelsea to seal a massive win to keep Maurizio Sarri’s side in the race for Champions League football. Chelsea started the game slowly, unable to breakdown the West Ham defence and finding it difficult to find space to exploit in the opening 15 minutes. The time the Blues were allowed on the ball, though, allowed the fullbacks to add extra numbers up-front, but to no avail for the hosts. And then Hazard turned the magic on. 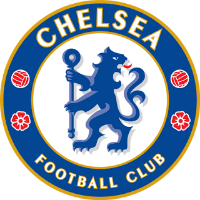 The Chelsea number 10 took the ball in the central midfield, and went on a mazy run past the West Ham defenders, taking out four players in the process, and neatly slotting the ball past Lukasz Fabianski to put Sarri’s side 1-0 up. Callum Hudson-Odoi came close to doubling the Blues’ lead five minutes from time when the teenage prospect burst through on, but his well-hit shot was parried over by Fabianski. Ryan Fredericks was next to deny Chelsea a late first-half goal when the right-back expertly blocked Gonzalo Higuain’s close-range shot in the final bit of action in the opening 45 minutes. Hazard almost got Chelsea off to the perfect start after the break when the former Lille winger was teed up by Ruben Loftus-Cheek, but the Chelsea attacker fired just wide of the near post. West Ham had their first chance of the game 54 minutes in when Robert Snodgrass was played in my Marko Arnautovic inside the area, but the Scotsman effort was well saved by Kepa Arrizabalaga, and Chelsea did well to clear. 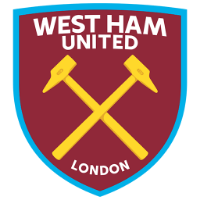 The Hammers chance gave Manuel Pellegrini’s side confidence to venture forward more in attack and in doing so pushed Chelsea up against the wall. Felipe Anderson’s impact down the wing was causing the Blues all kinds of problems, but Kepa remained largely untested. Despite the onslaught from West Ham, Chelsea were able to round off the win in the 90th minute from that man Hazard yet again. The star man was picked out expertly by Ross Barkley, and the winger had an easy finish to wrap up the win for the Blues. 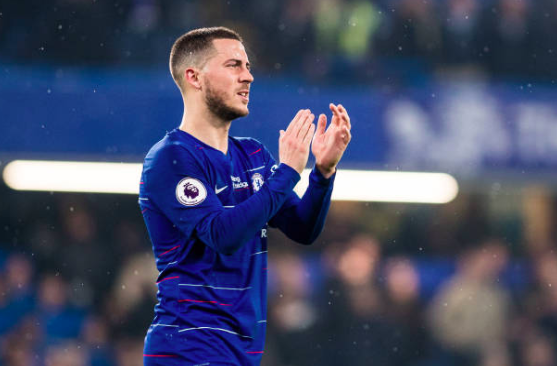 It’s no secret that this is Hazard’s final season in west London, but if the Belgian international is to leave the club that turned him into a star with anything, it will be with Champions League football. His goals have put Chelsea in a healthy position to finish inside the top four, and now the side have a duty to carry this form into their final games if they are to claim Champions League football. In his only second league start, Hudson-Odoi showed why Sarri had been wrong to leave him on the bench for nearly 75% of the season. The England international was a nuisance for Aaron Cresswell down the right, turning the defender inside and out on more than a few occasions and doing well to work the ball into the box. It might have taken some time, but it looks like Hudson-Odoi is cementing his spot in the Chelsea first-team. The revert to a 4-3-3 has not benefitted many players, one of those being Marcos Alonso who has been criticised for his poor performances this season, but amongst the criticism, Emerson has emerged as a confident fullback in Sarri’s system, and the Brazilian again impressed tonight.